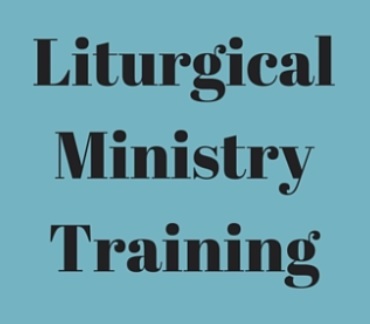 All are invited and welcome to attend a one day 'Liturgical Ministry Training' Saturday January, 14 2017 at St. Marks the Evangelist Catholic Church from 8:00am-12:00 noon presented by the Department for pastoral Ministries. Todos están invitados y bienvenidos a asistir para un día de 'entrenamiento ministerio litúrgico' (Liturgical Ministry Training) el sábado, 14 de enero de 2017, El entrenamiento sera en la iglesia de Marks the Evangelist Catholic Church de 8:00-12:00 mediodía. El entrenamiento esta presentado por el Departamento de ministerios pastorales. Please respect the time you scheduled as other ministries need to use the rooms. All events and times must be approved by parish office. Please stop by the office if you would like to have a reunion in a certain day(s) and time(s).